is a true Delicatessen that offers dine-in, take out and catering services. A selection of imported cured meats and cheeses include Prosciutto di Parma, Parmacotto, Speck, Lardo and Bresaola. Taleggio, Pecorino DOP, Mozzarella di Bufala, Burrata, Caciocavallo di Fossa, Sottocenere and more. SNAAK BAR was created for you, your family, and your friends. We live our lives to the fullest, we enjoy the adventure, and we love good food. 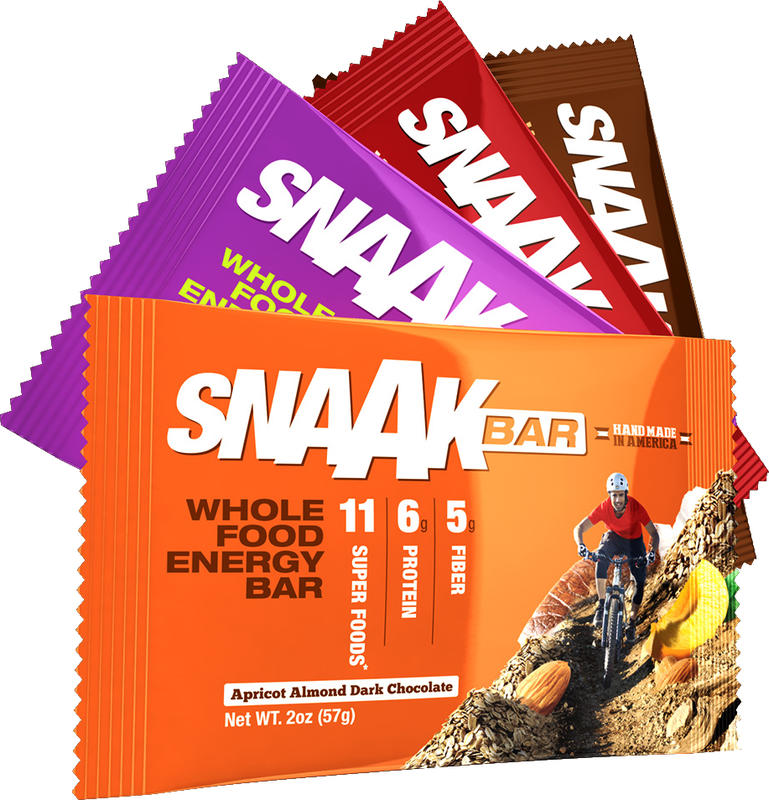 SNAAK BAR is handmade from whole foods and superfoods joined together to form an amazing taste experience. Created by a Registered Dietitian athlete, this non-processed natural whole food fuel bar provides your body with sustained energy when you need it most. Fuel your life, finish strong, and enjoy the experience. All bars and bites are made locally using whole foods, superfoods, and mostly organic ingredients. Acquerello is estate-grown and processed by the Rondolino family on the Colombara farm in the heart of Piedmont’s Vercelli Province. Acquerello is the result of tradition and innovation. Creating “the ultimate rice” is a unique process that begins with the aging of the rice after cultivation for one year and up to seven years. After aging, the rice is gently refined with the helix method, exclusive to the Rondolino family. This ensures the lightest shelling and prevents broken grains. In the final phase, the carefully selected grains are enriched with their own precious germ using a patented process, restoring the rice with its nutrients. Chefs worldwide recognize Acquerello for its culinary characteristics and is considered “the best rice in the world.” Acquerello grains are perfectly whole, fully consistent, tastier and not sticky. With Acquerello, risotto and all rice dishes will always be perfect! Andrea Paternoster’s dream is to capture the unique essence of each variety of flower. A nomadic beekeeper, Andrea travels with his bees throughout Italy, carefully following the flowering seasons of dozens of different types of flowers, to produce a beautiful variety of monofloral honeys whose flavors capture the essence and uniqueness of each flower. Key to his art is being in harmony with the bees and his ability to follow the natural cycles and the myriad of blossoms as they play out along the Italian peninsula’s climatic and geographical differences. Mieli Thun Monofloral Honeys are produced without pasteurization or additives. In this way Andrea is able to capture the pure fragrance and flavor of each flower species in the respective honey. From Tuscany, the Savini family business has always been linked with truffles, a passion that started in the early 1920’s and handed down to over four generations. Today, the Savini family still gathers fresh truffles each season and personally follow each step of the production cycle, from the gathering, selection, creation and packaging of their truffle products. Truffles in the heart of Tuscany can be found year around, from the rare black truffles to the white truffle “par excellence” and the Savini family is out almost daily with the truffle hunters to guarantee the highest quality of truffle and origin of the product. Production of truffle products is carried out using traditional methods and upon request to guarantee freshness. Seasonal fresh truffles, provided year round, are represented in the Savini range of products. From the fascinating landscape of the Puglia region of Italy, the DeCarlo family’s long tradition of the cultivation of olives and production of olive oil dates as far back as the 1600’s. Their recipe has been kept a secret, handed down from generation to generation, in order to produce their “precious” extra virgin olive oil. The antique stone mill is vital for their production of “stone ground” olive oil, which has won both national and international recognition. The DeCarlo family has also created a line of vegetables preserved in their extra virgin olive oil including the sweet and delicate sun-kissed Pomodorini and grilled artichokes. Situated in Parma, Greci is located in the heart of the Italian Food Valley. Since 1923, Greci has been committed to the transformation of tomatoes into pulp and concentrates. This long history of experience has given rise to a passion for quality. The Greci line consists of over 250 products that have been specifically designed for restaurants, luxury hotels and catering centers. The cultivation of the Prontofresco tomato follows the “Emilia-Romagna” region production regulations, recognized all over Europe and certified quality controlled. The regulations prohibit the use of GMO’s and define rigid parameters regarding cultivation techniques. The tomatoes are processed within 12 hours of being picked, then manual and electronic selection is used to choose only perfectly ripe fruit without blemishes. Quality packaging guarantees optimal freshness and full flavor. 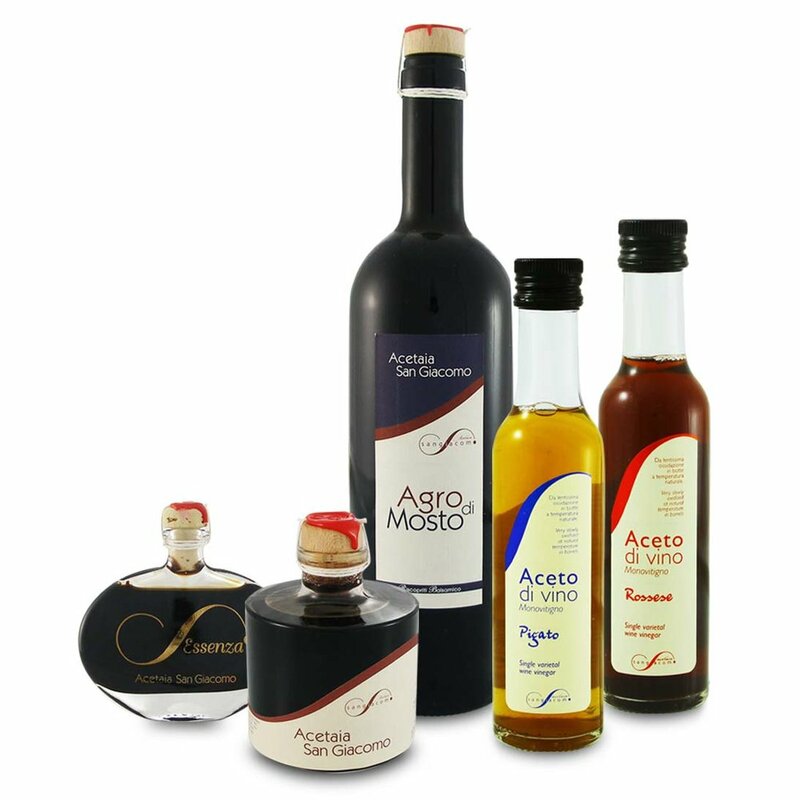 Andrea Bezzecchi of Acetaia San Giacomo is recognized as an award-winning producer of balsamic vinegar in the Reggio Emilia region of Italy. With passion and knowledge passed on from father to son, Andrea is the keeper of tradition and original techniques for the production of aged balsamic vinegar. San Giacomo represents passion, one thousand years of culture, precision, rigorous production methods and slow and meticulous maturation of the balsamico. The balsamic begins with only one ingredient – the cooked grape must of local Lambrusco and Trebbiano grapes. The grape must is cooked over an open fire and reduced. Then the long aging process begins using traditional wooden barrels of decreasing size and of at least four different types of wood. The evolution of the balsamic, ultimately expressed through its perfumes and taste, is an incomparable and extraordinary experience. Andrea has expanded his production to include wine vinegars produced with organically grown local grape varieties. The San Giacomo vinegars are never diluted and produced with the traditional long oxidation time at natural temperatures. These vinegars retain the desired levels of high acidity and flavor. Founded in 1876, the Gentille pasta factory is one of the historic artisan factories that made Gragnano, the “City of Pasta,” famous throughout the world. Even today, the Zampino family preserves the traditional methods of craftsmanship using fine Italian semolina enhanced by the ancient, unique drying method. Gentille pasta is made using the exclusive Italian IGP grain, Senatore Cappelli, from the uncontaminated hills of Basilicata, which guarantees the constant quality of the raw material. The wheat is worked with skill and expertise using the traditional natural drying method and bronze die. This produces the characteristic flavor and tenacity of the pasta in each of the individual shapes. The Fusilli Lunghi, unique to Gentile, is completely handmade. Two brothers, Andrea and Alessandro Tagliagambe, oversee the entire process of this delicately made fresh egg pasta using the traditional slow-drying method. 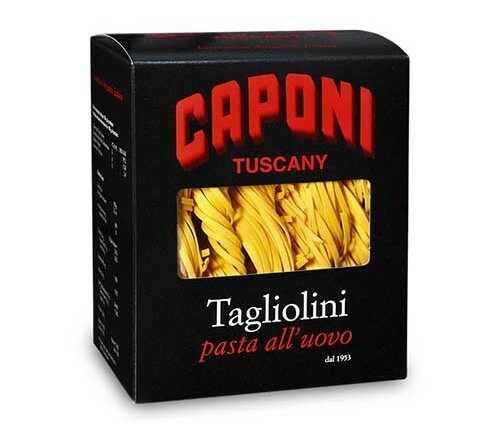 Caponi pasta is carefully handcrafted using the best durum wheat semolina and fresh eggs that are delivered daily. The long drying time (70-80 hours at room temperature) is a distinguishing characteristic of the Pastifico Caponi. It produces beautiful egg pasta, rich in color and flavor, with a smooth, velvety texture. Only a limited production quantity of 200 kg is made per day. We import a variety of specialty meats from various regions and producers throughout Italy. We also offer an assortment of local artisan meats. 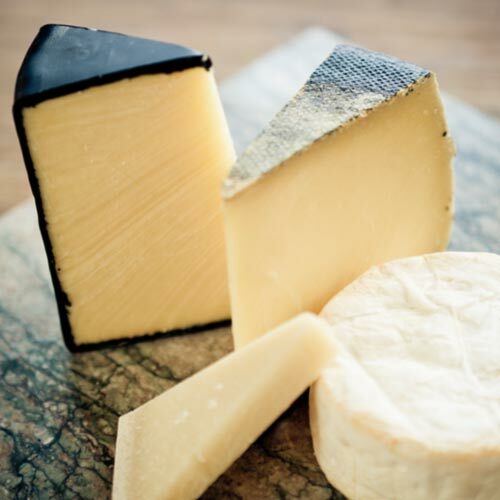 We import a variety of specialty cheeses from various regions and producers throughout Italy. Our Burrata, Mozzarella di Bufala and Ricotta di Bufala arrive fresh every week. Pre-orders are needed to ensure delivery. Domestic cheeses are also available. A special selection of cheeses from Real Group is now available. Flown in directly, these artisan cheeses are from small producers throughout Italy and are truly exquisite. Only available through pre-order are hard to find cheeses such as Blue Mediterraneo, Goat Milk Trunks, Pecorino Emiliano, Ubriaco Prosecco, Testun Ciuc and Ragusano. ‘Nduja Artisans salumis are hand made, the artisan way. The old world Calabrian-style salumi are produced locally, just outside Chicago, using only Minnesota and Iowa-certified 100% Berkshire pork, humanly raised on family farms, without antibiotics or hormones and always vegetarian fed. Chefs worldwide prize “Berkshire pork,” also known as Kurobuta, for its rare, characteristic marbling, which consistently produces a meat with superb tenderness, moisture and flavor. A beautiful representation of the fruits of the Campania region, the San Nicola dei Miri products begin with the selection of the area’s premium quality fruits. All of the products are hand prepared and preserved with care and dedication to the family’s traditional methods and recipes. The true and authentic flavors come through in all of the San Nicola dei Miri line of tomatoes, marmalades and preserved fruit. San Nicola dei Miri line includes the protected Piennolo of Vesuvio, the small tomatoes cultivated around Mount Vesuvius and the DOP San Marzano Tomatoes. The peaches in syrup, marmalades of Sorrento orange, IGP Sorrento lemon and Vesuvio apricot highlight the fruit and flavors of the region. 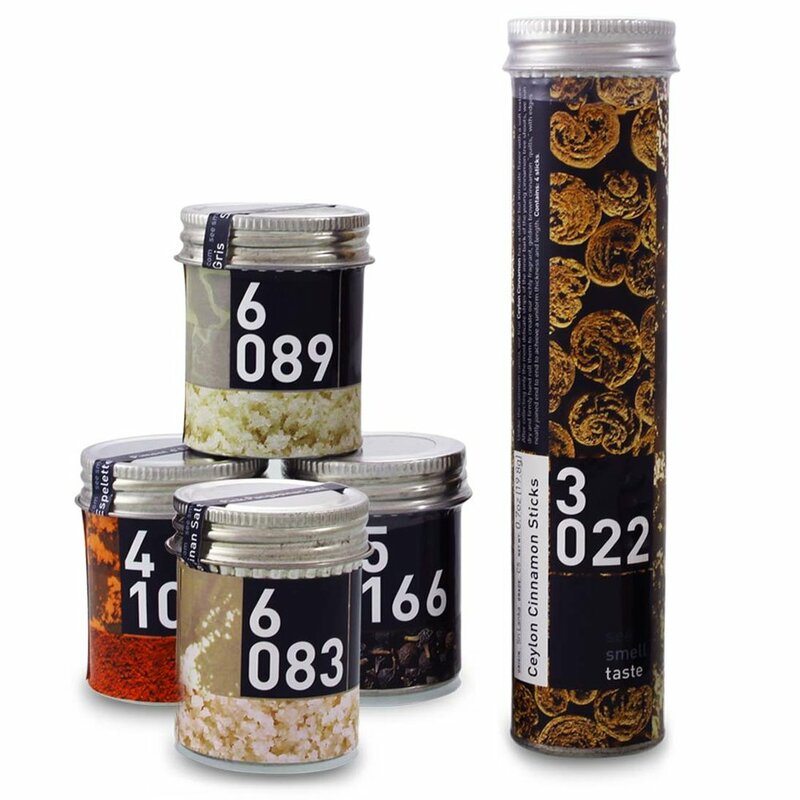 See, Smell, Taste strives to offer the world’s highest quality herbs and spices. With an emphasis on traceability and research, each phase is studied to achieve the highest quality. From planting, harvesting, processing and location, only a few growers meet the high standards. The superior blends are made on-site, ensuring you will see, smell and taste the difference!